Are you fed up of manual control of documents? Are you spending too much time for routing documents, obtaining approval and signatures from various departments in-house and geographically distanced, having face-to-face roundtable meetings to discuss required changes and make a decision for urgent matters, and having troubles of searching, locating and retrieval of documents during inspections? Then the solution is Document Control Software, offered by Harrington Group International. Having control over various types of documents drafted for different purposes in an operational set up is an essential requirement in a business regulatory environment. Many companies around the world are stumbling to get a streamlined process for controlling numerous documents in circulation every working day. Above all, whatever the solution is in place, it should be able to address any stringent regulations and standards laid in local, country and global level to ensure compliance. Ultimate result of this is lowering compliance cost while increasing the efficiency of the production processes which in turn lead to accelerate time to a marketplace. automated routing, delivery, escalation, and approval of documents in the operational processes. All that you invest in document control software is all your savings from deviating from a traditional way of handling documentation. Above all, one of the cutting edge features of our document control software is, its ability to integrate with other applications such as Enterprise Resource Planning (ERP), Laboratory Information Management Systems ( LIMS), accounting, and human resources applications to accommodate the needs of different departments within the firm. Your ambiguity on selecting a proper software matching your organizational needs is over, no need to raise the question of compliance, tolerance or functionality anymore. We are responsible for them. Harrington Group document control software is not just a document control system; it is the electronic business instinct of your business that helps you to manage a document life cycle from start to end. Advancements in Document Management and Document Control Software. The role of document control is an act that ensures documentation is available at official points of use within an organization. Through trusted procedures, users can manage and monitor up-to-date, reliable, verified, and formally approved information of a company. Involved in engineering or construction. Where documents are frequently modified and updated. That seeks or holds ISO 9001 standard certification. That seeks assistance in finding reliable, up-to-date and critical official documents. Where the improper use of outdated or unofficial documents has led to severe consequences. Where large amounts of company documents are produced and exchanged between different companies and entities. That seeks a strong emphasis on traceability, auditability, and proper compliance. Approving documents for adequacy prior to issues that may arise. The reviewing and updating of necessary and re-approved documents. Ensuring that changes and the status of the documents are identified. Ensuring the relevant and different versions of specified documents is available to use at any given time. Ensuring documents are readily identifiable for immediate (or otherwise) use. While you’re busy at work, there may be times when you receive an email from the boss. He/she requires the latest version of an important document needed for a meeting. While you’re scrambling through the many virtual files in the system to seek that one file required, a significant amount of time may have gone by. You’re then faced with consequences of the manager claiming you’re slow in work and inadequate. It’s a well-known fact that a significant amount of time goes by for locating documents. Fortunately, there’s an easier way. Through proper document management, organizations can now store, track, and manage all their documents in a central location. This can be done through the use of a document control software. The procedure of document management through document control systems has provided companies with multiple benefits that maximize an organization’s productivity while being able to save time and cost. Growth in organizational communication and collaboration. Having a document management system within a company workplace would be able to promote faster and easier collaboration between employees. This especially applies to companies with entities in different geographic locations. Through the use of a document management software, the user would be able to gain the ability to access necessary/relevant documents quickly and would be able to share them through an online workspace. These forms of document control would be able to provide users working together on the same project with almost no hassle. Additionally, through the different collaborative features which would be included in the software, the relevant documents can also be saved, shared, and managed among authenticated employees within the company. In large companies, one of the most significant issues faced would be maintaining updated documents and keeping relevant information flow. With the use of document control software, employees can now keep track of their documents while being able to keep them up-to-date. Users are very simply able to upload their documents and can manage their updates and versions through the document control software. Improved document management software involves better methods for organizing and maintaining documents while being very user-friendly. Increase in saved time and costs. Are you familiar with the term, “Time is money”? Well never has this statement been so true as when it comes to locating documents on time. While it’s taking all that time to locate a specific critical file, managers may find themselves late for meetings. This, in turn, would cost the organization a lot in staff-hours and possibly costly mistakes. This can be because the file provided (which was searched for in a rush without proper document retrieval) could be an older version or an incorrect file retrieved for an important meeting. By having appropriate methods for organized documents filed through document control software, locating the right information could be easier than ever. Through merely a few clicks and keywords, the material can be found and made use of accordingly. With a growing number of people starting to either work from home or travel for work, it is essential for those employees to have the necessary access to specific documents and policies. This is especially critical since they are not available in the office for immediate retrieval. While there are still some that may suggest that work can be done more efficiently through the use of physically present paper documents, there’s still a chance that you may have forgotten the papers back in the office. For travelers, it becomes an even bigger problem to have overlooked essential documents after traveling. With the ability of these documents to be present online, accessibility becomes significantly easier. Availability from any location is more efficient and can also save a lot of time and stress for employees. Document control software has gained significant popularity since accessibility. Also, with a Document Control Software in place, management of documents can be a breeze, especially for travelers. Through the use of document control software, uploading, updating, tracking, sharing, and managing documents would merely take half the time it would as compared to using conventional methods. With the use of this software, employees can become more productive and eventually more efficient in the company. After all, isn’t that what all companies look for in employees? The time spent using conventional methods of document control would be significant. By using document control systems, employees can now use that time to get more work done. This would, in turn, increase the overall efficiency of employees which would generate better ROI. Newer versions of this software also allow the accessibility through mobile devices which are a significant benefit for many companies and travelers. Once documents have upgraded to the use of document control software for better document handling, the next challenge would be to get employees to be updated on document versions. Through the use of an upgraded software, employees can now be provided with the ability to select and notify all approved employees with newer and updated versions of documents. Multiple companies have a significant amount of documentation which is available in electronic format. In some cases, management may be faced with the possibility of documents becoming inaccessible, especially if they are stored locally. At the same time, documents would also become unsafe over no proper security. With the use of document control software, shared records management would be available. Additionally, these systems would also allow integrity and security. Because of this, all relevant employees can control access and documentation that the organization stores. Duplicated documents and efforts can be avoided. One of the most common errors that may occur with company documents and data is that there may be a repeat of effort and documents which may sometimes be stored unintentionally. This could cost a lot of unnecessary time and money for the company. The use of document control systems could save an employee the redundant duplicate efforts. This would enable them to simply re-use the current documentation and provide them with a message stating the files already exist. This way users can avoid doing the same thing over again and make use of available documents. Doing so could save a lot of time and provide better productivity for the company. With the conventional record keeping methods and previously available solutions for data management, employees would find that there may be some difficulties in publishing where data requires to be released for use. However, with the document control software, record management would be made more accessible to integrate with web pages. This makes it easier to publish, and documents can be released quickly and have simplified indexes. Since the workflow is something that the head of an organization can’t always keep track of through conventional methods of document progress monitoring, there is a considerable chance that the workflow may get messy. Additionally, sending documents to every employee involved in the particular work process could also waste a lot of time. Through a single shared system that each employee collaborates on, it would become significantly easier to send out documents that consist of one or multiple files per document. With that, employees can receive and make use of documents on time, while being aware of all sending and receiving processes. The system would also allow tracking of the workflow. It would enable the management to be able to see the progress of employees at any given time. This includes daily, weekly, monthly, or even yearly progress. Storage options are made easier. How difficult is it when you’re making use of conventional document control methods to store all those files while being able to access them. It may require a significant amount of storage space. This puts company data at risk of entirely getting lost as well. The brilliant thing about document control systems is that these systems allow ensuring compliance with the necessary storage requirements. Because of this, a Document Control Software also allows files to automatically be transferred to a more secure, yet cheaper option of storage media. Running a business can be an incredibly difficult and time-consuming process. Often the head of a company is burdened with projects, dealing with unexpected issues, and no free time. With all that in mind, getting time to come up with an effective data management plan can be tough. However, it is essential to keep in mind that by being able to draw up a comprehensive plan for document management, a company could avoid multiple disasters. Through proper document control, not only will it keep your company compliant, but it can also save you and your company a lot of money in the long run. One of the essential factors businesses often consider would be the ability to manage finances in the organization. No company wants to run inefficiently, especially in the aspect of cost. In today’s world, almost every organization makes use of handling documents digitally through document control systems. However, it is essential to keep in mind that while handling documents in conventional methods may be considered easy, managing files through these systems require a little more effort, maintenance, and monitoring. Poor document control is something that could result in major losses within an organization. This could result in significant financial and productivity losses in a year. Efficient document control is something that is critical to every organization, especially if you’re running the business. The data protection legislation has been known to set out a minimum and maximum length of time in which records can be retained in a system for. The different types of documents may have different time frames which can essentially become more challenging to keep track of. No company wants to be fined, so going through the proper guidelines would make it easier to stay compliant. One of the biggest mistakes companies may make is retaining every piece of document in case it may be needed in the future. However, this could result in employees taking longer to locate documents that would actually be required. Statistically, it was estimated that workers spend an average of 35% of their work time to locate documents and information. The time saving of proper document control systems would allow better management and control of data for improved efficiency. Space used for storage, whether it is physical space or electronic space, costs money to maintain. Keeping physical documents in an office may take up a lot of valuable space that can be used for other office work. Therefore, paying money to maintain documents stored in these spaces may be a waste of money, especially if those documents aren’t used again. A proper record management system would help employees identify the files that aren’t of importance and keep the files that are, for future use. Through conventional methods of document control, the more documents there are, the harder it becomes to stay on top of them. Because of this, company data may be put at risk for potential security breaches. Regulations may not be something that is paid as much attention as it needs to. Following the necessary regulations of document control is essential to every organization. It has been stated in the past that multiple companies have been filed millions for improper data management. All the above mentioned factors can be stated as merely a handful of reasons as to why it is essential for companies to have a proper management plan for company document handling. Utilization of Software for Document Control is known to be one of the most up-to-date efficient methods to be able to manage company data effectively. 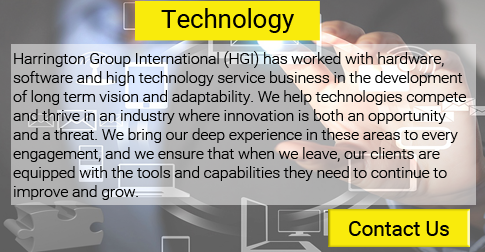 Fortunately for you, Harrington Group International (HGI) is an organization that issues one of the best document control software in the market. Our software allows companies to have a sense of relief through proper document handling and monitoring. These systems reduce the unnecessary costs and the time it takes to manage all sensitive company data. Through our systems, we guarantee your documents are in safe hands. Wasting too much time managing documents manually or through paper-based systems. The difficulties in revising and updating versions of documents. The complicated situations of unorganized document control which may sometimes lead to misunderstandings between employees. The failure to produce documents on time. The time that is wasted on meetings which could be used for more productive hours of work. There are many different documents produced every single day in an organization. Because of this, companies currently seek the best way to be able to manage these documents. Finding purposeful software for document handling, where compliance costs are low, and efficiency is high, can be tough. However no need to worry about that anymore since you have come to the right place. At HGI, our document control software guarantees to help you manage your essential documents lifecycle from beginning to end.